Have you ever tried SBI mCash online money transfer facility to send or receive money online? If no, then today will show you how to Send and receive money online using SBI mCash facility. Before we start let me tell you what is SBI mCash facility? State Bank mCASH is a simple and quick way to claim funds sent by State Bank of India customers through Internet banking or State Bank Anywhere mobile application based on just mobile number or email id. 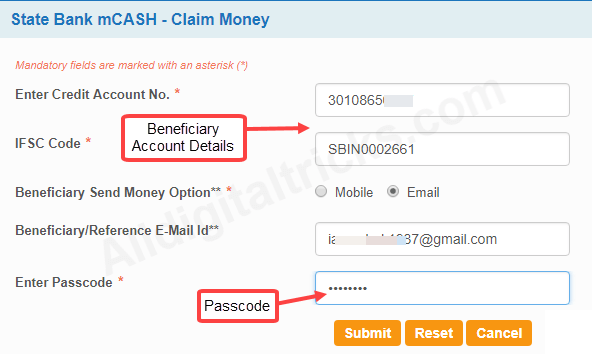 SBI customer can send money using beneficiary’s mobile number or email address. The beneficiary will get an sms/email with passcode. To receive money to his/her bank account, he/she just need to enter bank account details and passcode. The beneficiary can receive money on his/her any bank account (SBI or non-sbi). A nominal charge of Rs. 2.50 per transaction has been made applicable for each transaction. Transaction limit is ₹2501 per transaction and ₹5101 can be transacted in a day. However, the maximum limit of fund transfer for a single user should not exceed ₹11101 in a month. 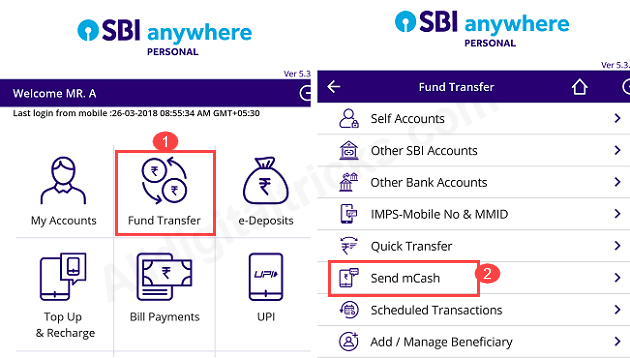 See step by step process – how to send and receive money using SBI mCash. You can use SBI Anywhere mobile banking application or net banking facility to send money using mCash. Here we will send money through SBI Anywhere. 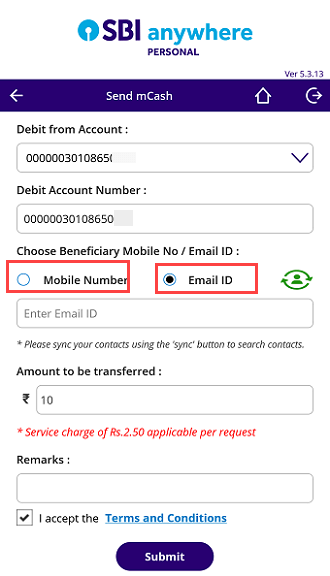 2: Now in next screen, select your debit account, enter beneficiary mobile number or email address. The beneficiary will receive passcode on his/her mobile/email address. Enter amount and submit. That’s it your transaction is successful. Now the beneficiary will receive SMS or email contains Passcode. He/she need to enter this passcode to claim money. See how beneficiary receive money to his/her bank account. 2: Now click on mCash option. 3: Next screen enter Bank account number, IFSC code, select email address or mobile number and enter passcode which you received on mobile number or email address. Click on submit. Done! money will be credited to your bank account successfully. 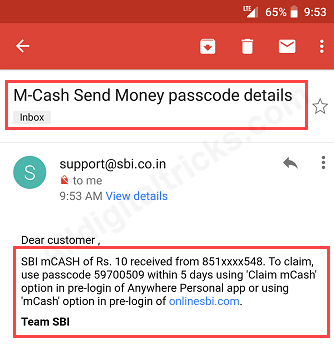 So this is how to Send and receive money online using SBI mCash. When you don’t know person’s bank account details and want to send small amount then you can use SBI mCash.